The only way to accurately assess the most likely electoral outcome in the November 2012 presidential election is to understand what happened in 2008. The playing field in 2012 is profoundly and fundamentally different than 2008 and offers irrefutable concrete evidence for a decisive Obama defeat. 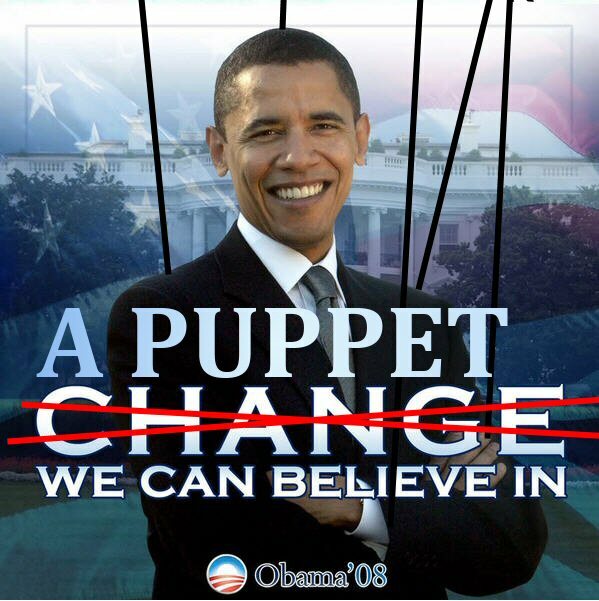 Obama was able to deceive many large swaths of the electorate throughout the entire 2008 presidential election cycle. He cannot do that again. He has played all of his cards with no more to play. His countless broken campaign promises litter a 4-year term of awesome governmental destruction, societal degeneration, economic collapse and financial degradation. Simply put, no President in modern history has succeeded in deceiving so many people around the globe. No American president has produced results which diverge so greatly from the expectations he foisted upon his followers. No President has failed to deliver on so many false promises made both during the campaign season and his term of office. No President will suffer defeat as Obama will because of his blatant disregard for the common man whom he swore to protect. • Where Obama received an unusual percentage of the Republican vote in 2008, those same voters will vote against him in 2012. Yes, they will show up in droves to vote him out of office because of the destruction of true conservative values which he personally oversaw over four tragic years. • Where Obama received a substantial percentage of the Independent vote in 2008; they will abandon him in great numbers in 2012. For all the reasons that Independents voted for him, they will now vote against him in 2012. He betrayed all of their pet causes and cherished values. • Where Obama received substantial assistance from young voters in 2008, especially as they worked the social networks with great expertise and enthusiasm on his behalf, they will do no such thing in 2012. These same young voters – ages 18 to 30 – have been terribly let down by this President. Here they sit in 2012 with no job, no income, very dim employment prospects, living at home with mom or dad, staring at school loan balances large enough to demoralize the most optimistic among us. Do you really think that they will vote to re-elect a President who oversaw four years of economic depression? Obama has dashed their hopes and dreams and they may just show up in force to forcibly see him off the stage. • Where Obama received a disproportionate amount of the black vote in 2008 for obvious reasons, that symbolic victory has served its purpose. And everyone knows that. Now they (the nation’s unprecedented and massive unemployed black population) need help … help that Obama has neglected to provide his own people throughout his entire four year term. They have now been scorned by the only man of color to occupy high office through his complete lack of attention and initiative. Regardless of where the Black Caucus goes, the black vote will back whoever they feel will deliver … something. Not the “absolutely nothing” of a four year term. Of particular note concerning the black vote is that Obama committed at least two grievous errors this year regarding two hot button issues within the black communities. Whereas they tend to be conservative regarding certain social issues, Obama went against the grain regarding gay marriage and illegal immigration. Blacks are not fond of gay marriage (and other homosexuality issues) for all the right reasons. They are also not in favor of illegal immigration, since every illegal immigrant potentially takes a job away from one of their own. Will President Obama’s support of gay marriage cost him black votes? • Where Obama received an extraordinary number of votes from the country’s Catholics in 2008, those same Catholics are fighting mad this time around. In fact they are pissed, even the liberal ones. Obama has made perhaps every wrong move that a president up for re-election could make with regard to Catholic sensibilities and the issues that really matter to them. Pick your hit button issue – the government paying for birth control, gay marriage, abortion, new military policy toward gay issues, etc. 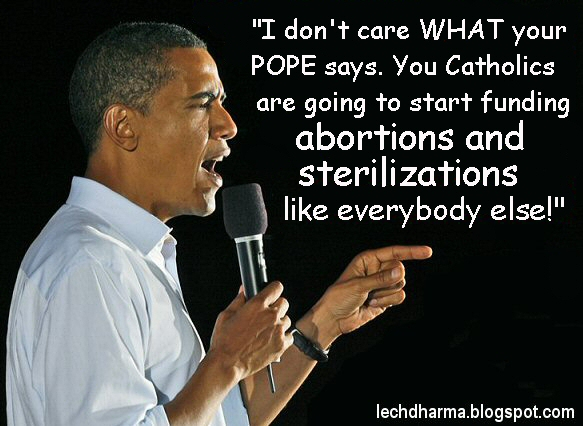 Obama has been on the wrong side of the fence for each of these, and he will pay dearly at the ballot box in November if the Catholics decide to vote. • For a Democrat, Obama received an unusually high percentage of military and ex-military votes. His lack of support for the veterans has turned off just about everybody, hawks and peacemakers alike. His indiscriminate use of the armed forces to launch drone attacks on hundreds of innocent parties (Yes, even wedding parties in Afghanistan) around the world is as cowardly as it is criminal in their eyes. Particularly when American citizens are targeted for unlawful assassination. His unilateral decisions to declare war and wage war without approval from Congress have shown him to be a completely untrustworthy Commander-in-Chief and president who arrogantly operates outside of the rule of law. This is particularly offensive to military families because of how cavalier and casual his attitude is toward expending the lives of the nation’s young soldiers. This voting demographic will likewise swing away from him because of how many times he has let the military take flack for his egregious mistakes and political policy with regard to war-making. 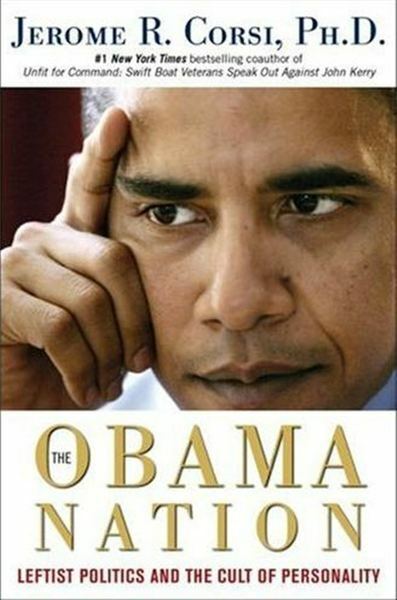 • Whereas the entire nation is torn by an environmental policy which has effectively destroyed so much of the landscape, water bodies and rivers and air quality on Obama’s watch, he will lose the great majority of enviro votes that he captured in 2008. You can pick any environmental battle, and be sure that Obama has ended up on the wrong side of the fence. He gave the Gulf of Mexico to BP during the oil spill of 2010. He totally caved in on the Keystone pipeline from Canada. He took no position on the ongoing national disaster known as fracking. He allowed for the unprecedented weakening of the Clean Air Act. He is no friend to the environment, and everyone in the movement knows it. The real tree-huggers will certainly not vote for Obama in 2012 after being betrayed so profoundly on so many vital environmental matters of national importance. Any president who places a serial transnational corporate criminal like BP in the lead position of the Unified Command Structure which was given absolute authority to oversee and manage the cleanup of the BP Gulf oil spill has forever lost their credibility on all matters concerning the precious environment. To put the corporate criminal in charge of the crime scene will never be forgotten by anyone who lives, works or play on the Gulf of Mexico coastline. Now we’re talking about an entire voting block which resides in the southeast quadrant of the USA! • The Latino/Hispanic vote will most definitely not go his way in 2012 because of what he has come to represent to them. For the many who have come into the country legally over many decades by following the law and many immigration regulations, they are quite unhappy with his handling of the various highly sensitive immigration issues. Because of his deliberate lack of decisiveness in the beginning of his term, and then his overt politicizing of the whole issue, he has made many unhappy within the Spanish-speaking community. It forced this divisive issue out into the open in a way that gives anyone with a Spanish accent a bad rep. His role as Divider-in-Chief on the issue of immigration has greatly fractured the nation and shown that he simply cannot lead. Obama’s flagrant and transparent persecution of a law-abiding sheriff in Arizona who has simply enforced Arizona laws has further eroded any trust in his intentions around the immigration issue. In this regard has has repeatedly undermined the Governor of Arizona and made it virtually impossible for that state to enforce the laws that are on the books. Many who are the victims of immigration-related crimes strongly feel that his purposefully negligent and openly aggressive behavior toward immigration law-enforcing government officers marks the greatest act of treason by any modern-day president. • Last but not least we see many true progressives, genuine liberals and far lefties jumping ship in November. There is not a single one that is happy with the Obama presidency. Every person with whom we have spoken is highly disillusioned with the ongoing wars, that Guantanamo is still open, that Wall Street was gifted to while Main Street was stolen from. The Democrats who voted for change are especially angry at his appointments, all of which showed that he is beholden to the very system that he promised to changed. His Cabinet Secretaries – each and every one of them – represented the worst possible appointments to have carried out his promised agenda. All of them were slackers of the first order – weak, ineffectual, political paybacks, uncommitted to any meaningful change, working for the corporate interest over the citizenry, and at worst working to undermine the positive changes from previous administrations. The best that Obama can expect from the multitude of disaffected Democrats is that they will not show up to vote against him. Liberals have a way of eating their own and taking it out on those who have betrayed them. One thing is for certain, the disenchanted Democrats will not show up to vote for him in 2012 as they did in 2008. Only the Obamabots* will vote this time around, and even they have greatly dwindled in numbers since 2008. 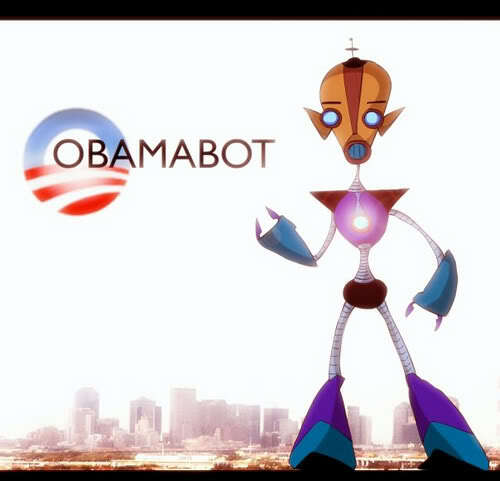 *An Obamabot is an entity who will vote for their man no matter what he says or does. 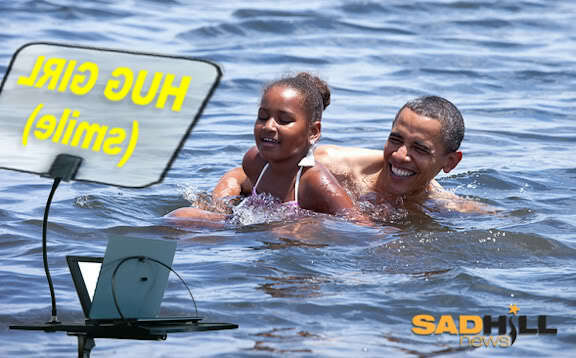 Although Obama has posted a fraudulent birth certificate at an official White House website, an Obamabot does not care. That a sitting President has submitted a forged document as supporting documentation for his fitness to run for President seems to make no difference to them. Obamabots are clearly the product of one of the most sophisticated and deliberate mind control programs in American political history. You really have to feel sorry for one who is so hopelessly ADDICTED TO DECEPTION! How does Obama’s base (fyi, Al Qaeda translates to ‘Base’) blindly follow a serial murderer?! This is a constituency which is traditionally very anti-war and peace-loving. Liberal Democrats and Progressives certainly are not known for aggressively promoting the outright murder of unindicted, untried men who believe they are defending their country. After all, many leftists are often accused of being radical extremists as well. The hype and hoopla that accompanied Obama’s campaign of 2008 is gone. It is not only gone, it has transmuted into a palpable rage simmering under the surface which will come back to haunt the man who promised the world everything and delivered absolutely nothing. Not only did he not deliver any of the goods, he went to work for the enemy of the people every time he had a chance to make a real difference. The Democrats tend to be more thoughtful about many political issues. They are also more forgiving … in the beginning. Whe they finally wake up to the fact that their man is actually a wolf in sheep’s clothing they will turn on him “like a cat on a piece of hot tuna”. The extremely grim realities of the Obama’s policies are slowly coming to the fore and the core Democrats are starting to feel like a woman scorned. Be aware that “hell hath no fury like a woman scorned”. Like we said, it is NOT going to be a pretty picture in November. Many political soothsayers are even sensing an electoral bloodbath! When a presidential candidate accepts over $700 million in campaign contributions as Obama did in 2008, who do you think he really works for. Honestly, who does he work for — the people or his corporate sponsors? No candidate in modern history had ever accumulated such an enormous sum to pay back with political favors and favorable legislation to his backers. No one even close. 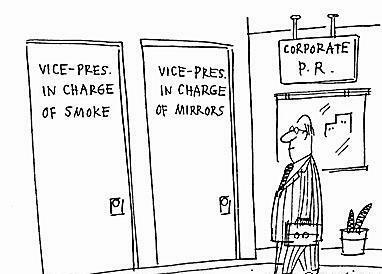 Which speaks to the degree to which this administration has been owned lock, stock and barrel by corporate interests. 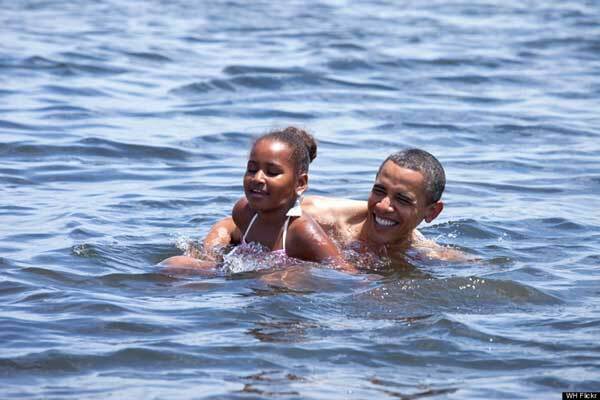 Barack Obama and daughter taking a swim in the Gulf of Mexico after the BP oil spill and wanton use of Corexit was known to have contaminated the GOM. The BP Gulf oil spill is just one glaring example where this president profoundly betrayed his nation, the people of the Gulf coast region and a major body of water. It is now widely known that his administration set up a special response team to handle every detail of the US Federal Government’s response to the oil spill. Every bad move that BP made was blessed by Obama’s personally appointed team. The wide area, indiscriminate, systematic spraying of the highly toxic dispersant COREXIT was overseen by the White House. The countless false news reports about the safety of the sea food were blessed by the White House. The deliberate false impressions that the waters and beaches were clean and non-toxic were disseminated by the White House. All this administration cared about was making the spill go away … disappearing it any way that they could so it would not become a political thorn. And so they did, with the “miracle disappearance product” known as COREXIT (as though this poison really “Corrects it”). Truly, when health and safety are subordinated to gaining political advantage, the President no longer has any right to lead. The people of the entire Gulf Coast region will never forget the profound betrayal and outright deception the Obama Administration routinely utilized throughout the BP oil spill. All of us were incredulous that the President of the USA would completely cave into BP, a foreign transnational corporation and serial corporate criminal. To this very day one would be hard pressed to find a single individual on the Gulf Coast who would vote for Obama. Where then are all these pro-Obama votes in 2012 coming from according to manipulated, corporate-funded polls? When you add to this woeful Obama Administration response to the spill all the other environmental disasters around the nation which lacked any real government response, you will quickly see that the numbers do not add up. The people living on the West Coast are usually pretty smart. You know, Washington State, Oregon, California are not at all happy with the deliberate suppression of data and info concerning the Fukushima nuclear catastrophe. Obama’s administration has used smoke and mirrors to evade and elude, dodge and deceive, mislead and misrepresent, prevaricate and equivocate regarding every single potential health hazard associated with Japan’s global radiation disaster. Were you to listen to Obama’s chosen people, you might well think nothing has gone wrong at all at a site which is now considered by many to be the worst nuclear disaster in world history. How many of these folks do you think will vote for Obama, really? There are essentially three reasons why Barack Obama won in 2008. (1) Obama ran against an extremely substandard candidate (John McCain) with obvious and serious psychological problems whose candidacy was torpedoed time and time again, even by his own party. Additionally, he, they, whoever chose the Republican running mate selected one of highly questionable experience and maturity. Sarah Palin only served to further harpoon the entire Republican campaign so that no one was standing in the end. A visibly old man and very young woman were fighting each other in broad daylight. Who choreographed this political debacle … … … the financiers of the DNC? (2) The stock market crash of 2008, truly the worst of its kind since 1929, was purposefully engineered so that the nation would be ready for a ‘savior’ like Barack Obama. The very worst of the crash occurred over a six week period (from September 15 thru October 31 of 2008) just before election day — Nov. 4. How convenient?! Were it not for such a devastating blow to the economy, the electorate would have never voted for such a young, inexperienced, and unknown commodity with virtually no senatorial accomplishment to speak of. With virtually no official background to speak of. With virtually no personal life to speak of … that anyone, anywhere has been willing to reveal?!?!?! (3) There is a catchphrase in politics that goes something like this: Whoever has the biggest dog in the fight, wins the fight. Taken to its logical conclusion, whoever can pay the most to create the biggest dog in the fight, always wins the political contest. When Obama accumulated well over $700 million dollars in his campaign war chest, he succeeded in guaranteeing a victory which only corporate money could buy. With a George Soros backing him all the way to the bank, Obama secured what every candidate requires to even show on the ballot — LOTS of money. Soros, having made his fortune through massive currency manipulation and practically bankrupting whole countries, was the perfect bagman to provide the necessary funding for the greatest con job in American political history. What’s the point? Glenn Beck has seen to it that everyone now knows this very inconvenient truth about how the presidency was bought outright by financiers of highly questionable character and even more suspicious intentions. (4) There is, of course, a fourth reason in this analysis which cannot be overlooked. Obama wanted to be president since his earliest days. He really wanted to be the man. And so he was prepped and schooled, groomed and manicured, coached and conditioned to RUN for president. And so he did like no man before in USA election history. With HOPE and CHANGE on his lips from day one of the campaign season, Obama conned and cajoled US into a swooning delirium. Many of his most fervent devotees have still not come back down to earth. When a message is so carefully crafted to appeal to what Americans wanted to hear the most in that vulnerable post-stock market crash moment, and his own handlers were behind the ongoing financial apocalypse – you, they, we, everyone – have witnessed the ultimate political campaign by way of smoke and mirrors. What we have presented in this electoral analysis is irrefutable evidence which supports a decisive Obama defeat in November 2012. This clearly objective assessment should also function as a scathing indictment of the unparalleled gushing and patronizing mainstream media (MSM) attention which has been enlisted to re-elect Obama. No one has ever quite seen anything like the unbridled bias built into every news report by the MSM engineered in Obama’s favor. It’s as though these MSM outlets operate right out of Obama National Campaign Headquarters! Therefore, the upcoming election has all the markings of being fixed by Team Obama to the extent that they control the executive branch of government. The concerted effort to re-elect a truly unelectable incumbent is currently in overdrive, so watch the media extravaganza which is about ready to kick in. All of this political propaganda is being disseminated in the interest of justifying a stolen election. An upcoming election which has already done away with the traditional MSM exit polls that would have reflected the reality on the ground. The Obama re-election strategy up to this point has been to pander to every special interst group which can be squeezed for votes … any votes whatsoever, so desperate has this political cabal become. This single strategy has done more to further destroy the social fabric and moral fiber of the nation than any other political, social or economic dynamic in US history. Truly, the climax of an ObamaNation is very close to completion. And it is up to each reader to do what ever he or she can do to prevent such a baneful outcome for United States of America and all of its citizens. Obama has frequently been compared to Herbert Hoover, the president who inherited the first Great Depression just as Obama has inherited the second even Greater Depression. Just like Hoover, Obama has failed miserably to remedy the financial house of the nation when he had a perfect opportunity to do so. Also, just as Hoover did, he implemented policies which greatly exacerbated a great depression which could have been averted. This eventuality also sealed his political demise, as well as the election of FDR. It appears that Obama’s handlers have read Hoover’s playbook and made sure that he would follow the same path of economic destruction and financial mismanagement. Obama appointed all the wrong people who were either a part of the original problem or were brought in to make sure the very profound and fundamental systemic problems were never identified or addressed. He even went so far as to refer to these cabinet level appointees as czars and conferred an unprecedented amount of authority on them to change the very essence of government. These basically unsupervised czars are not even accountable to Congress and have acted with a degree of impunity and absolute power that has only been seen in the Soviet Russia or Communist China of the past. Of course, Obama’s oversight of this incomparable national catastrophe has brought ruin to innumerable individuals and families, businesses and foundations, colleges and universities, companies and corporations, cities and counties, states and other nations who relied on US commerce or largesse. Truly, the entire planetary landscape has been transformed into an ObamaNation.